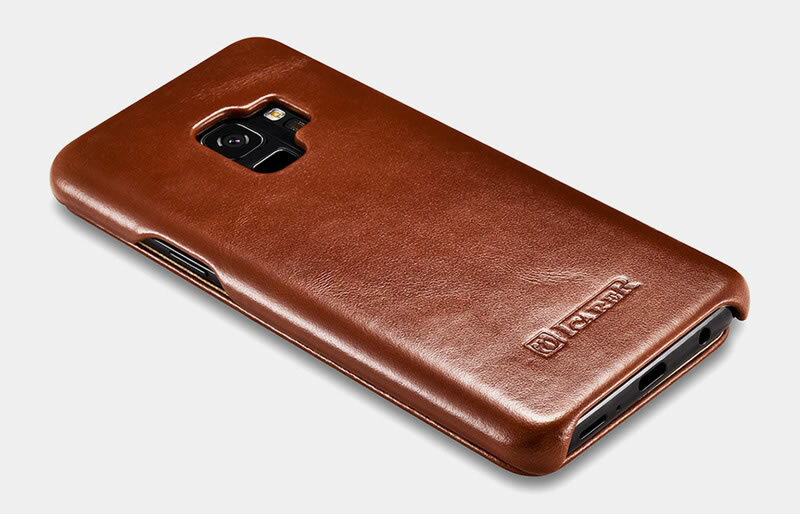 Free Shipping, Buy Original iCarer Samsung Galaxy S9 Curved Edge Vintage Genuine Leather Case at Casemecase.com. 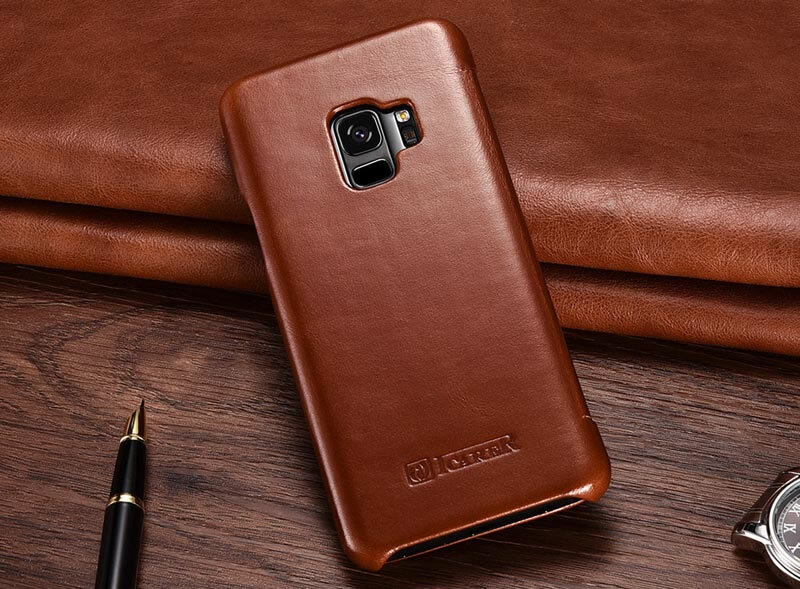 Folio Flip Side Opening Case design completely protect your Samsung S9 from dirt, scratch and bumps, whether the screen or the body. 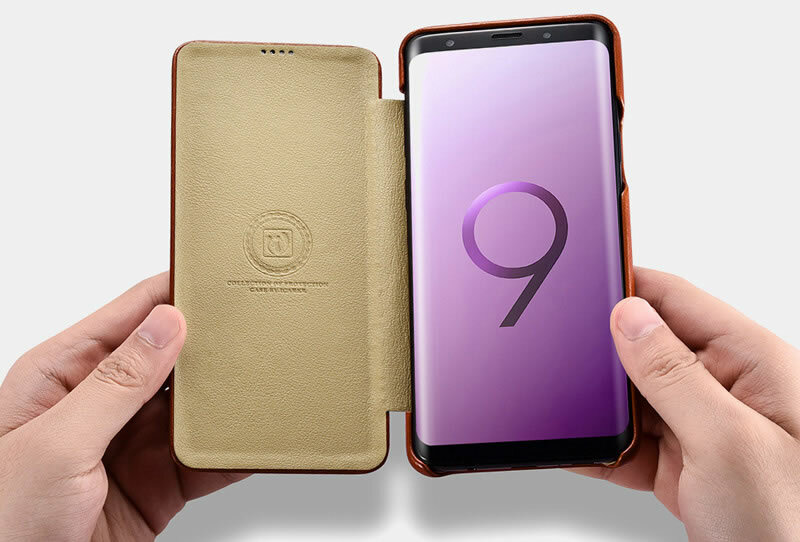 You have an easy access to all control buttons, S9 back fingerprint reader, camera, ports and sensors without removing the case. 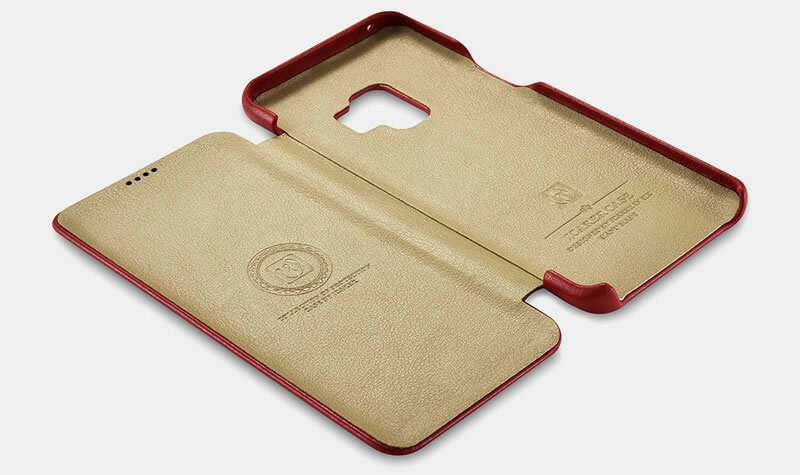 Handmade of top-grade first layer cowhide leather with ICARER innovative vintage style design. 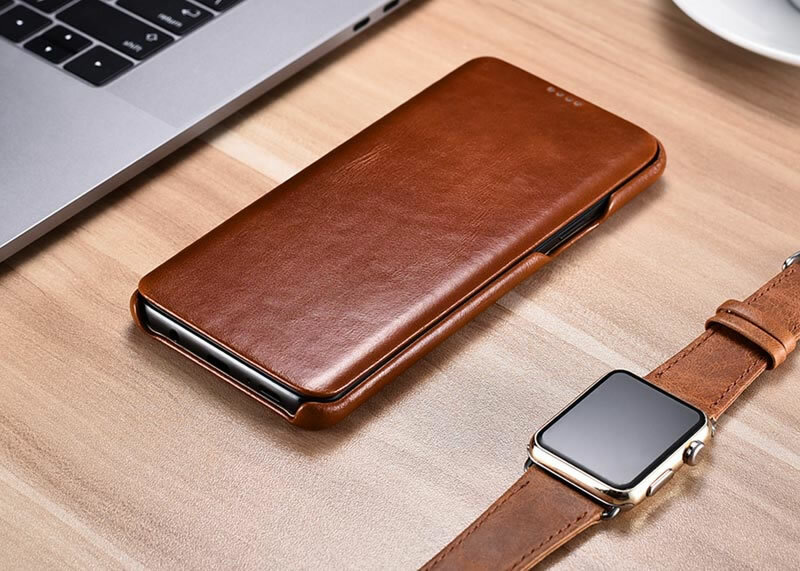 Leather has durable feature. 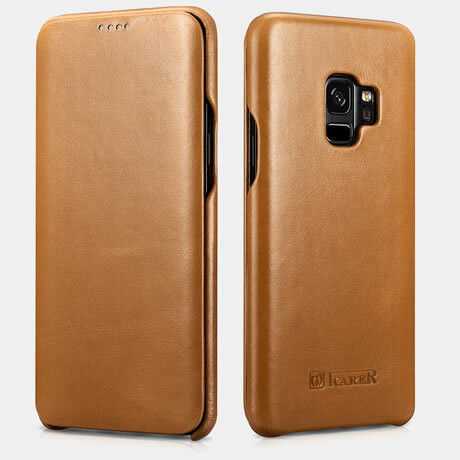 The leather surface will become more smooth as the using time increase.